Matthew, Collie, and Mickey are joined by Matt Gordon from the Lexington chapter of the American Outlaws to discuss the upcoming friendly with Paraguay. Plus, EPL and Champions League new and discussion. On this episode of EPL 1300 presented by Lynagh’s Irish Pub, Collie, Lauro, & Mickey talk Champions League and look back at last weekend’s EPL results, and ahead to this week’s ties. On this week’s EPL 1300 presented by Lynagh’s Irish Pub, Matt Gordon from the Lexington chapter of the American Outlaws, and Danny Cummins from Liam’s Fancy join Collie, Lauro, & Mickey. 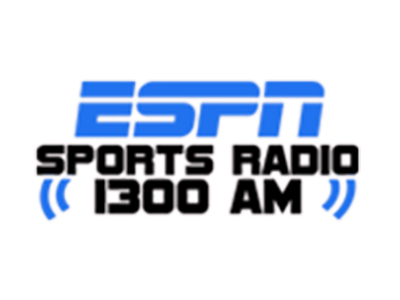 On EPL 1300 presented by Lynagh’s Irish Pub, Matthew Laurance, Collie Taylor, and Shawn Seay talk about all the action in the English Premiere League, as well as Champions Cup and more. On this week’s EPL 1300 presented by Lynagh’s Irish Pub, Matthew, Collie, and Shawn welcome Mike Lippert to the show to discuss National Signing Day, last weekend’s Premier League matches and more. On EPL presented by Lynagh’s Irish Pub, Collie, Lauro, & Mickey recap the Spurs – Man U match, wrap up the transfer season, and look ahead to the weekend. On this week’s EPL 1300 presented by Lynagh’s Irish Pub, we’re joined by local Arsenal supporter Todd Davis to discuss the EPL, FA Cup, and Arsenal’s recent “struggles”. Lauro, Collie, and Mickey talk FA Cup, Premiere League, and the latest transfer news. On this week’s EPL 1300, presented by Lynagh’s Irish Pub, Collie returns from his Irish Walkabout and we welcome Lindsay Patterson to discuss FC Cincinnati.